In 1795, two iconic French families, the Mareys and Monges, were united in marriage to create a dynasty that still echoes with reverence throughout Burgundy today. 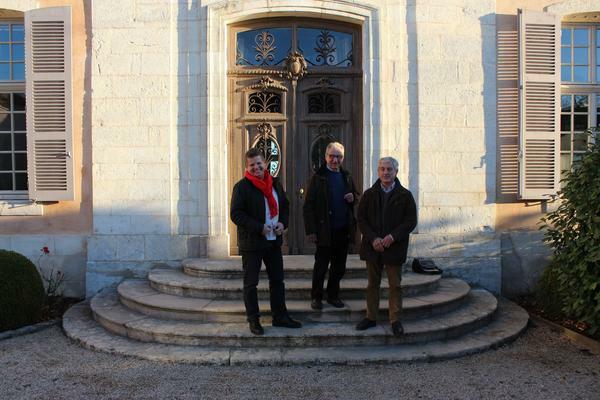 The origins of Château de Pommard and Clos Marey-Monge – as we know them today – date back to the origins of one of the oldest and most respected families in all of Burgundy – Marey-Monge. Throughout the region the name can be seen. In Beaune, the beating heart of Burgundy, and the next village north of Pommard, statues of the famed French mathematician Gaspard Monge can be viewed. The city’s library, and a brasserie or two, share his name too. 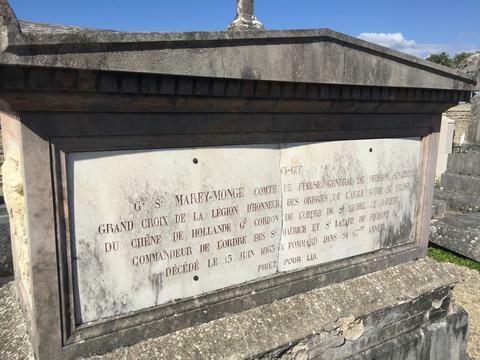 The same goes for the Marey family, with statues of many of the eminent sons of Nicolas-Joseph Marey and Émilie Monge scattered throughout towns – from Volnay to Vosne-Romanée – where the Marey-Monge family had stretched out their winemaking empire. But none of the fame, fortune, or fine wine, that would come to define the essence of Burgundy over the next four centuries would have happened if it wasn’t for Mr Claude Marey, back in 1763. 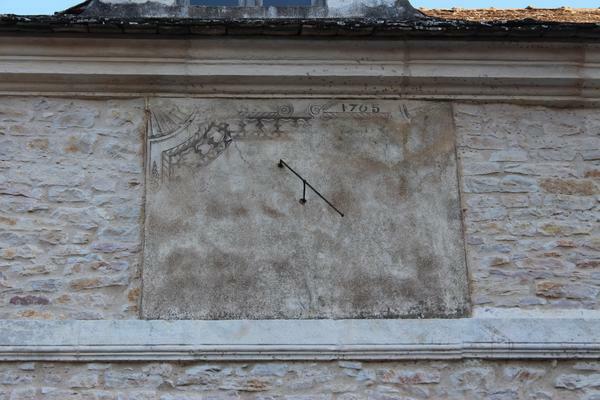 1765: Claude Marey makes his mark with a sundial in Cour Carrée. It’s still there. 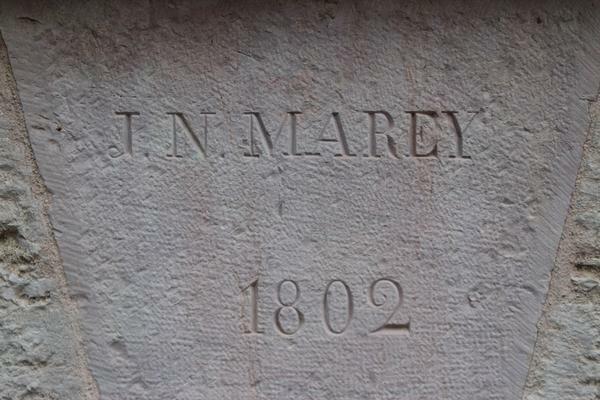 The son of successful winemaker and merchant, Jean Marey, Claude Marey’s (1696–1770) spent his youth traveling around Europe selling his father’s wine. It was on these trips, the young Claude, wise and keen, garnered valuable networks and contacts that he would later use to become the leading wine merchant of modern Burgundy and one of the first international wine tradesmen. He was beloved as a humble man, kind and generous, an “upright Burgundian man contenting himself with the most everyday duties as the squire of Pommard,” so we are told through the history books. 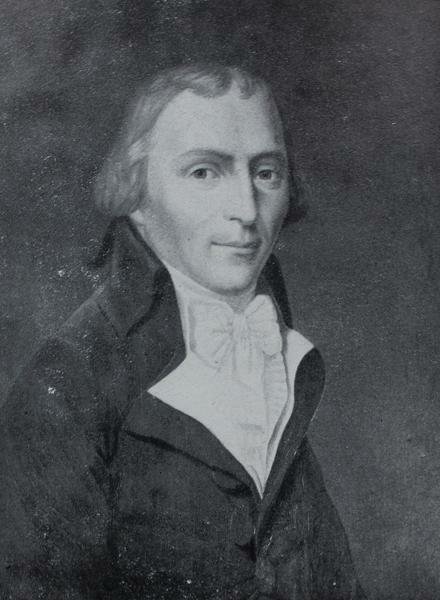 Over the years, and with his wife Claudine Lenoir and two sons Claude-Philibert and Nicolas-Joseph (1760–1818) by his side, Claude Marey acquired a vast amount of winemaking property throughout the Côte d’Or. While the family divided their time between their Nuits-Saint-Georges mansion home, it was with the purchase of the Pommard premises, and vast winemaking facilities, from Joseph Micault, the son of Vivant, the winery’s founder, that the Marey family had truly arrived as a family of wealth and stature. For seven years, until 1770, the year of his passing at age 74, Claude Marey invested . heavily into the winemaking facilities and continued making wine that was the envy of the land, and courted by kings and queens home and abroad. But while Claude was the first Marey to made his mark in Pommard, it was his second son, Nicolas-Joseph, who fell in love with the vines and whose love for a Monge would become the link that would unite two famous French families, transforming not only the wine of Pommard, but all of Burgundy, with it. And, as with all life-changing stories, it begins when a man falls in love with a woman. Following his father’s passing, Nicolas-Joseph Marey inherited 309, 876 francs, including the Pommard winemaking estate. His brother, Claude-Phillibert, laid claim to his father’s Nuits-Saint-Georges family home and vines. From this point on, the two brothers went their separate ways. At the time, Nicolas-Joseph had a promising political career in Paris, a station that led to a chance meeting with mathematician Gaspard Monge, the native Burgundian whom, at the age of 17, drew up the city plan of his home town, Beaune, displaying a mathematical greatness which culminated in his co-founding of the nation’s capital École Polytechnique in 1794, during the French Revolution and would also become emissary to Napoleon’s armies in Egypt. 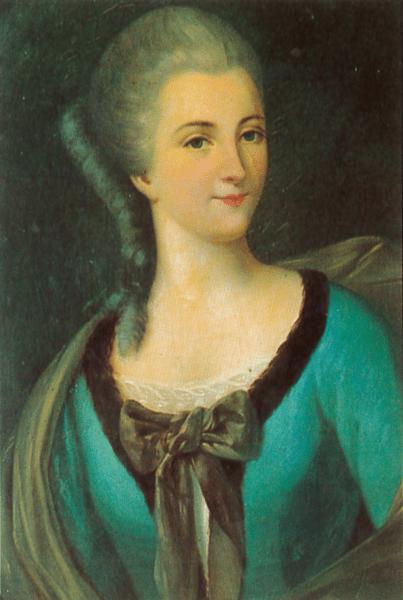 Gaspard’s daughter, Jeanne-Charlotte Émilie Monge, was 18 years younger than Nicolas-Joseph when they first met, but such age differences were common at the time. 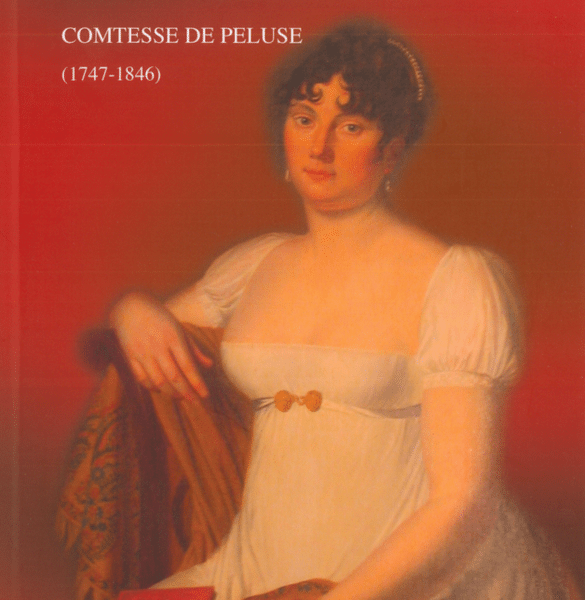 Beautiful and tenacious, like her mother, Marie-Catherine Huart, herself a prominent noblewoman, when Émilie entered the marrying age at age 17, she and Nicolas-Joseph immediately began starting their own family. They were possessed by passion for each other. We know this for sure – they had eight children together. Enchanted by the fruits of their labor in their own back garden in Clos Marey-Monge, the first husband and wife team of Château de Pommard made it their life’s work to protect their vineyards and to ensure the future of the Pommard estate would always continue. Not even the French Revolution would not stop them. Wine coursed through Nicolas-Joseph’s veins. It was in his blood and his family’s DNA. And in June 1795, it flowed through Émilie too; they were married in Pommard’s church. In his wife, Nicolas-Joseph found his mirror image. 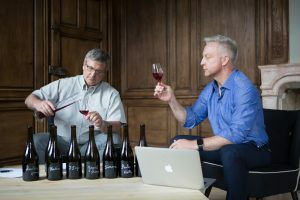 They shared a love of preserving and providing Pommard wine with the world. Often separated by Nicolas-Joseph’s political career in Paris, the besotted couple sent love letters to each other, and would talk of “soothing their hearts when separated,” by discussing work to be done among the vines. “My wishes have been realized,” Émilie wrote, “my husband is still the same in my eyes.” However, Nicolas-Joseph’s deep attachment to their estate and vineyards would suffer the challenges of a nation being ripped apart. In 1789, on the eve of the French Revolution, the Marey family owned more than 160 plots of vines across the Côte de Beaune and the Côte de Nuits, owned by Nicolas-Joseph’s brother, Claude-Philibert. Following the rise of the Great Fear, which preceded the infamous Reign of Terror, many Burgundy Châteaux – a symbol of French nobility – were set ablaze by Revolutionists, after an aristocrat was murdered down the road in Viteaux, igniting the flames of change. 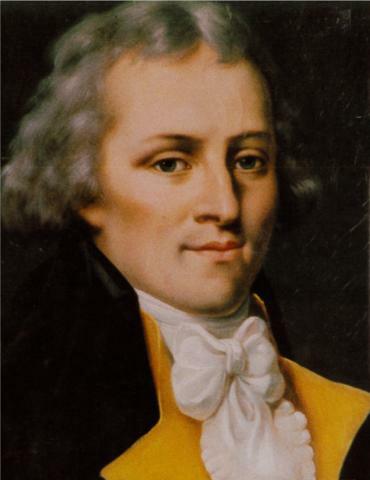 Whereas Claude-Philibert, fled the country fearing for his life (and only to return in 1800), Nicolas-Joseph remained in Pommard and Paris, and bravely continued his work, despite the wrath his rank and nobility would invite. However, fearing for his family’s life, Nicolas-Joseph sold Château Micault for 25,000 Francs to matriarch, Agathe Rose Dambrun, of the notable Beaune family, Joursenvault. Shrewdly, Nicolas-Joseph kept possession of his Pommard vines and the winemaking outbuildings. His land was never seized as the nation revolted until 1799, but many châteaux across the region were. When future-family friend Napoleon Bonaparte was named French Emperor, chaos in the country receded. 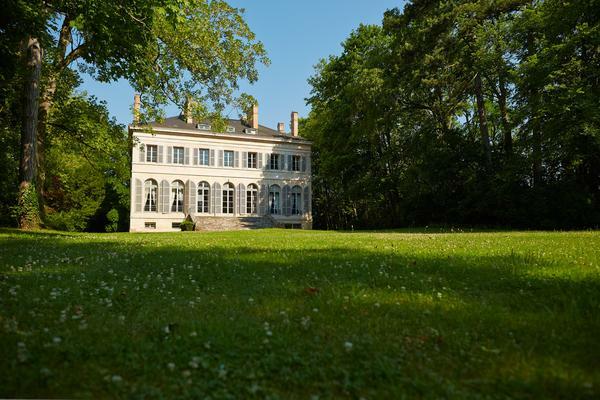 However, Nicolas-Joseph was unable to reunite Château Micault with his vineyards despite offering the Joursenvault family 100,000 francs, four times what he had originally sold it for. The land, as it has always been, was a prized possession, with its value well-known to all. But Nicolas-Joseph’s passion for his Pommard vineyard knew no limits. 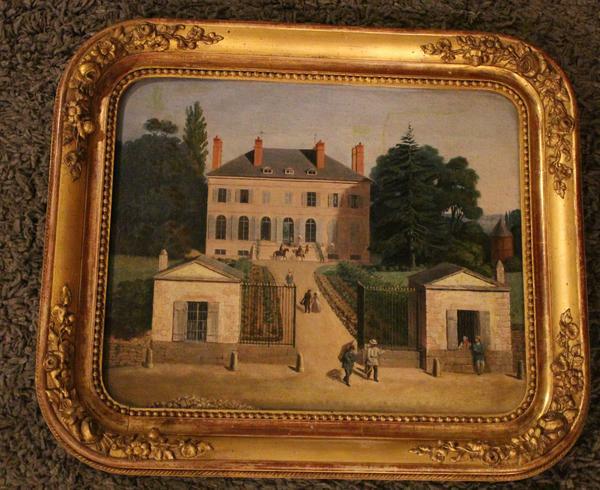 In 1802, Nicolas-Joseph decided to build a new Château for this family, only 200 footsteps away from the first one. Château Marey-Monge, as it has now become known, emerges out of the clay-rich limestone, and grand cru-worthy terroir of the Chantrerie plot, camouflaged from the outside world by a grove of Cedar and Redwood trees. Château Marey-Monge: As it looked in 2005. Today, intense renovation has begun! The stately second manor of the Pommard wine estate was designed, around 1800, by Parisian architect Jean-Nicolas-Louis Durand, a professor at Gaspard Monge’s famed Ecolé Polytechnique. The architecture of Château Marey-Monge is said to reflect the principles and modern personality of Nicolas-Joseph: no sculptures, no superfluous ornaments; just pure functionality and down-to-earth style, respecting the purest Burgundian traditions. The construction of Château Marey Monge’s six levels and cellar was completed in 1812. It immediately garnered admiration from miles around. “When in our villages we want to say that someone has a beautiful dwelling we say: it is as beautiful and as good as at Mr Marey’s,” the author Charles Theuriet wrote in his publication The General History of Burgundy. Napoleon Bonaparte, a dear friend of the Marey-Monge family during the Napoleonic Wars, was known to stay at Château Marey-Monge during this time, over a period of years. The emperor even gifted the wood used in the construction for the floor. 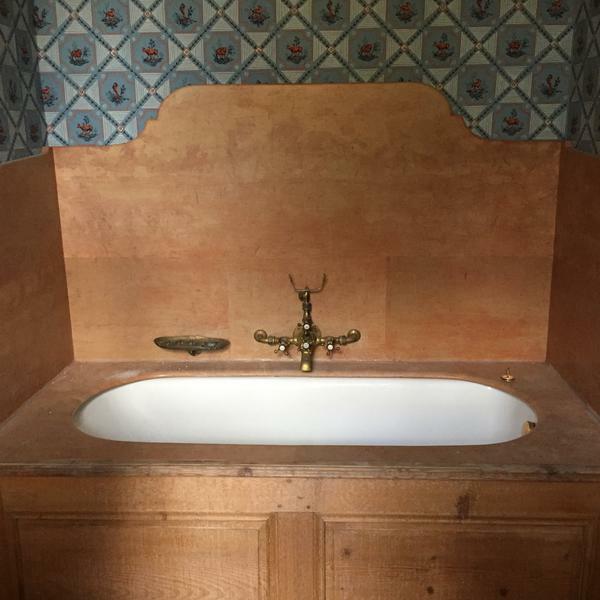 Naturally, when Napoleon came to stay he had his own chambre, the Blue Room, installed with a blue porcelain toilet, blue wallpaper and a bath (the size of a sink). Perhaps the most important element that Nicolas-Joseph and Émilie added in their tenure at “the royal estate of Pommard” was the installation of a 20-hectare long and two-meter-tall fortress wall enclosing and protecting the vines. 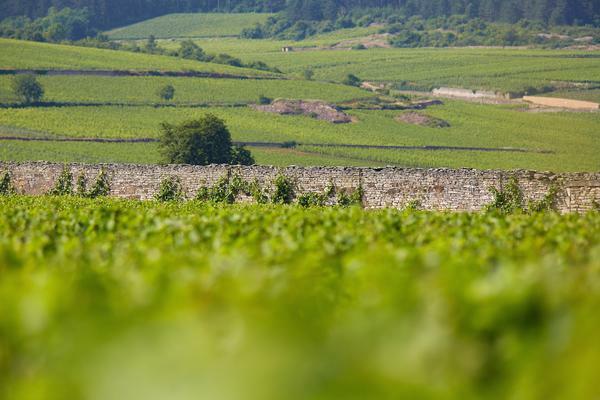 Today, Clos walls are known all over the world: they have shaped the Burgundy vineyard landscape, transforming rows of vines into a mosaic of terrorities, of all shapes and sizes. Nicolas-Joseph and Émilie gave the resulting Clos a name befitting the blending of two great families: Clos Marey-Monge. It has remained Burgundy’s largest monopole ever since. Legend tells us that Nicolas-Joseph offered any villager a new pair of boots, and a serving of soup and bread, to help him build the wall, stone by stone. 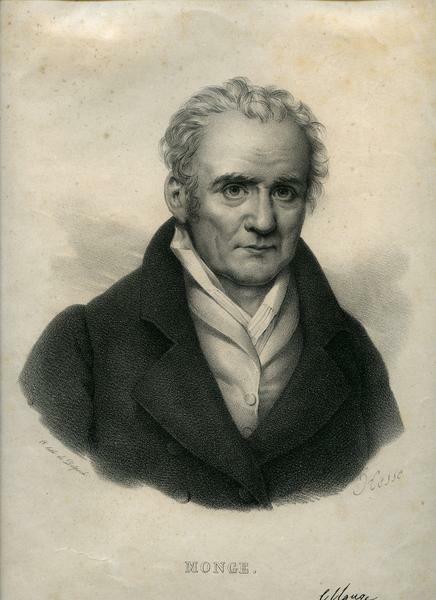 It was in 1818, that Nicolas-Joseph passed away suddenly, aged 58. He died in his favorite place, the home he built, the second floor of his Château. It was 4 p.m. in the afternoon. 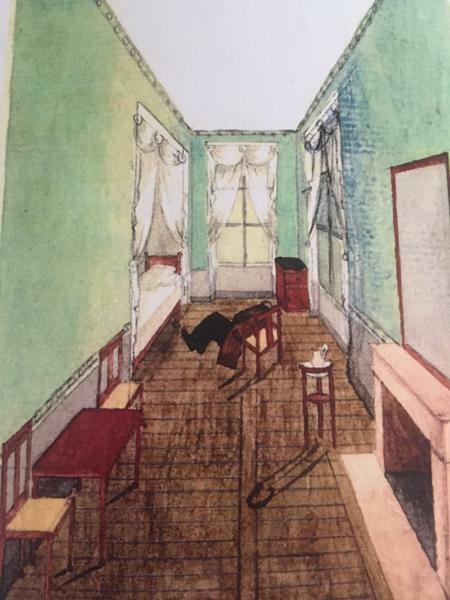 Not one to be diminished by tragedy, Émilie famously watercolored the scene of her husband’s last moment. It is both a visible reminder of Émilie’s steely tenacity, as well as an insight into the Château’s non-opulent interior decoration. A devastated, but determined, woman, devoted to the Clos and her eight children, Émilie took control of the Pommard estate, including the winemaking and the harvest. In her tenure as head of the grounds, Émilie – influenced by the ambition and independence shown by Vivant Micault, Claude Marey and her husband – proceeded to expand the estate and wine business greater than her predecessors. A letter written in 1819, from Émilie’s sister to her grandson reads: “Your poor Aunt Marey has a great deal to do, she must do the Pommard harvest alone. She will have some 300 casks of wine, what a worry for a woman!” Despite her sister’s concerns, Charlotte Émilie exceeds expectations and expanded the estate’s wine production considerably after her husband’s death. If we owe our good fortune and future to anyone, it is the hard work and passion of Émilie Marey-Monge, the lively and courageous daughter, wife and maternal figurehead of Burgundy’s greatest family that kept Pommard’s wine proudly on the map. But Émilie did not run the winery on her own. Her family, her eight children, were invaluable support. Émilie’s mother, Marie-Catherine, known also as Madame Monge, was a noted Burgundy wine ambassador often sending bottles of Pommard to Paris for her friends to savor. After Nicolas-Joseph’s death, and for the final 30 years of her life, Marie-Catherine would spend much time in Pommard to support her daughter with the harvest and winemaking. Following Émilie’s passing, at the grand old age of 89, the Château and Clos Marey-Monge would be inherited and run by most of her eight children, including eldest son, Guillaume-Stanislas, their fifth son Alphonse, twin daughters Louise and Edith Marey-Monge, and Edith’s son, Emmanuel de Blic, for the next century. Émeilie’s gated crypt, along with those of several of her children, can be located in Pommard cemetery, right next to the vines of her family’s beloved Clos Marey-Monge. 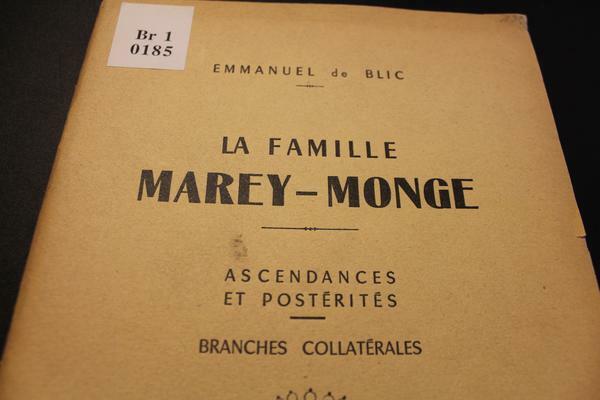 It wasn’t until December 10, 1840, that the eight children of Nicolas-Joseph Marey (1760–1818) and Jeanne-Charlotte Émilie Monge (1778–1867), were given permission to be titled Marey-Monge, by royal decree, no less. It was in 1846, that Guillaume Stanislas Marey-Monge, the eldest child of Nicolas-Joseph and Émilie, became protectorate of the estate after Émilie’s passing. 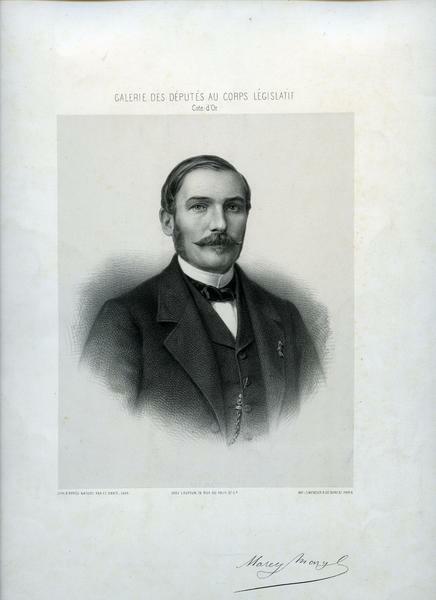 During his time as head of the estate, in 1855, Guillaume welcomed Jules Lavalle, a leading authority of Burgundy’s viticulteur. Dr Lavalle’s comprehensive classification of the region’s terroirs, published in his revered book The History and Statistics of the Wines of the Côte d’Or, certified Clos Marey-Monge amongst the region’s top ranked première cuvées, a qualification now designated for today’s premier cru. 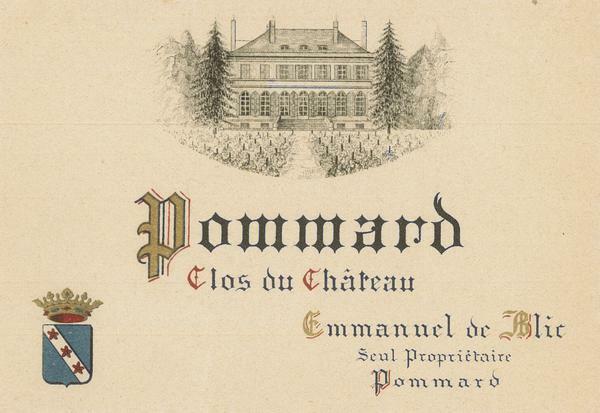 For 80 years, the wine and terroirs of Château de Pommard remained acclaimed across the land helping Pommard earn the reputation it retains to this day. 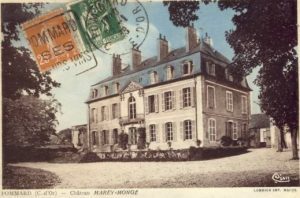 From the 1870s to 1920s, Château Marey-Monge, the Clos and the winemaking business was operated successively by the children of Nicolas-Joseph and Émilie. It was Édith Marey-Monge, the youngest daughter of Nicolas-Joseph and Émilie whom, at the age of 19, was in full possession of the estate. When Édith married Hervé de Blic, an illustrious family and one of the oldest feudal and military nobilities of Burgundy. Édith and Hérve would spend their autumns and winters in Dijon, and their spring and summers in Pommard, taking care of the harvests and the vineyards. An engineer in Arts and Manufacturing, Hérve also served as Mayor of Pommard until his passing in 1924. Upon her husband’s death, Édith donated the operations of the estate to her son Emmanuel de Blic, the last heir to the Marey-Monge family, whom rather aptly was born on the grounds of the estate and would go on to write may books about the heritage and legacy of his family. 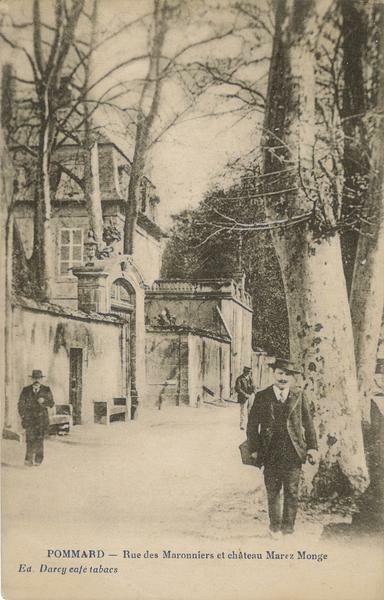 In December 1926, Emmanuel sells Château Micault to Charles-Georges d’Epinay and Château Marey-Monge to Louis Laplanche, in 1936, and so begins the next chapter of Château de Pommard. Alas, with the the era of the powerful and prestigious Marey-Monge family is over.